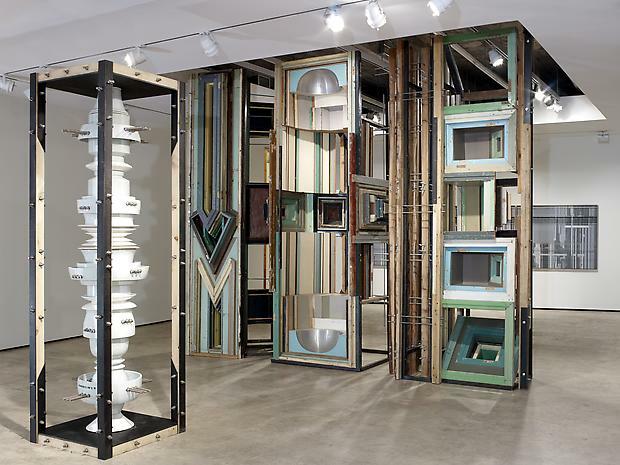 Liu Wei, artist: "An artwork must be provocative"
Liu Wei (born 1972 in Beijing) is undoubtedly one of the most brilliant artists of his generation. The artist, who graduated from the Oil Painting Department of China Academy of Fine Arts (Hangzhou) in 1996, now lives in Beijing. 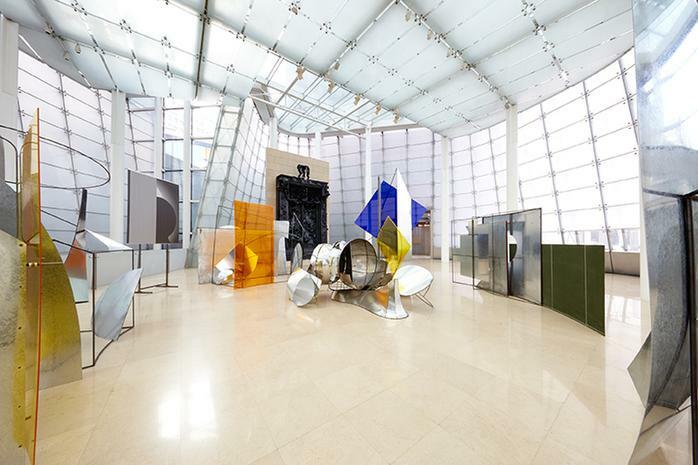 Using video, installation, drawing, sculpture and painting, his work is shape-shifting and unclassifiable. However, a few recurring themes, treated with humor, mark his path: the contradictions of our times, the changing urban landscape, a reflection on the world's chaos. 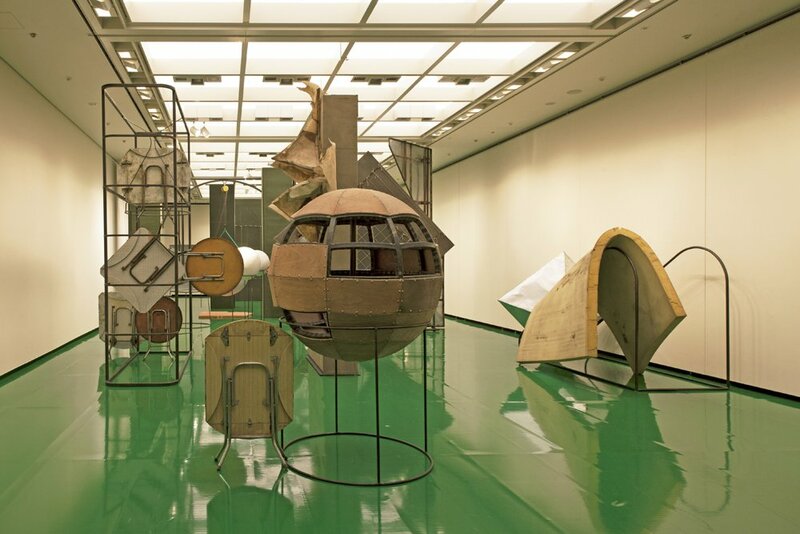 Liu Wei, a prolific creator reknown internationally, has recently had solo shows at Samsung Museum of Art (Seoul, 2016), UCCA (Beijing, 2015), Museum Boijmans Van Beuningen (Rotterdam, 2014) and Minsheng Art Museum (Shanghai, 2011). He also participated in the 13th Biennale de Lyon in 2015, and in several group shows about Chinese contemporary art, including What about the Art? Contemporary Art from China at the Qatar Museum in Doha in 2016, and Bentu at Fondation Louis Vuitton Paris the same year. Doors visited Liu Wei at his Beijing studio. What is your latest completed work? Have you discovered in it a new turning point? I’m constantly planning for my next exhibition, solo, this year or next. But it’s quite hard for me as I want to explore a change or something new, but I haven’t found it yet. My life and the environment around me have changed so much, and my work is a reflection on reality, taking topics from real life or inserting them into reality. We don’t just look to the past, but also think about and develop a future vision. So I need a sense of something new. It doesn’t have to be something no one has felt before, but has to at least be a knowing reaction to the now. So, the problem for me is that once I’ve perceived this reality, how should I present it? The first question then is exactly what is art? How should I present it? It's not a sculpture, an installation, an image, a work of contemporary art. This doesn't mean anything to me. What I need to think about is how it should really be presented. So right now I don't know what to do. Beijing’s currently undergoing enormous change, and you had to move your own studio to its current location. Some of your work has focused on massive city imagery in the past, so can we ask if the mess and disorder accompanying the current restructuring is a point of inspiration for you at the moment? This isn’t a point of inspiration, it’s what we’re living through. It’s something to consider, not just as a landscape issue, but also about power, mechanisms and systems. True, I'm interested in urban change. But I’m not so much interested in the appearance of the city as what’s behind it, and what has brought about these changes. It is not just about landscape and architecture, but stretches to everything within a city, including changes in one’s surroundings. The places between city and countryside were once populated by migrant workers, outside workers, people from all walks of life, and now have become green areas, but they are like a computer desktop - endless, green and that’s all. It’s worth giving it some thought. It looks like a landscape painting, 2004 (image courtesy M+ Sigg Collection). 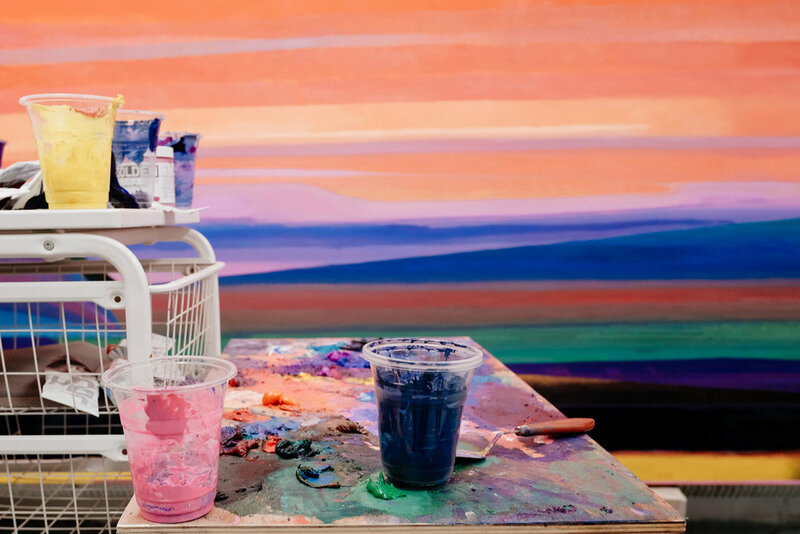 Presented during the Shanghai Biennale, taking its inspiration from Chinese painting tradition of shanshui (mountain and water), this work caused a scandal. Many of your works are ironic and provocative. Is this the effect you want to achieve or just happens to be your own temperament? Provocative is a must. First of all, if you mustn’t believe your own work. The work is not meant to be there for everyone to agree with it, but to make people skeptical, and that includes yourself. There is a lot of talk about how you do not participate in the production of a project from beginning to end. What do you think about this? I think my way of creating protests against a kind of consumption, because artists tend to be pushed into a certain class. Many people want to see the artist's hand in something to know that you created it, but this is something I want to resist. Are there any artists who have particularly touched you? So many, like early 20th century Russian artist Malevich and when I was younger, I really liked Theodore Gericault, among others. Is there anything that stimulates your creativity in a broader sense? For example, music, design, fashion, architecture, movies, etc.? I don’t have any particular hobbies. If we talk about movies, I love Pasolini and Fassbinder. Design and architecture are also of great interest to me. 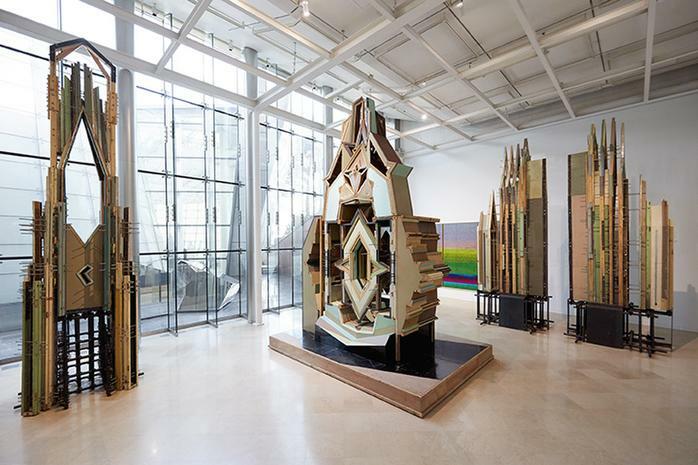 Liu Wei is represented by galleries Long March Space (Beijing), Lehmann Maupin (New York, Seoul, Hong Kong) and White Cube (London & Hong Kong).